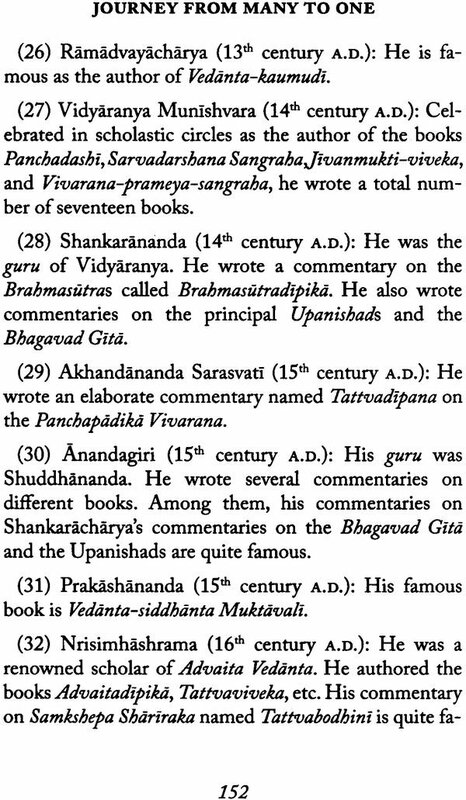 Over the many years of my stay in the United States I have often been requested by my friends and members of our church to write a book on Advaita Vedanta. 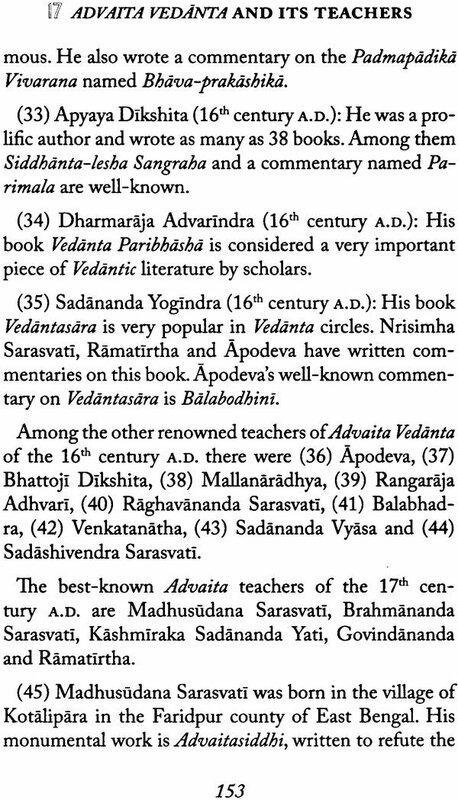 They said to me, "Swami, we find most books on Advaita Vedanta written by other authors difficult to understand. 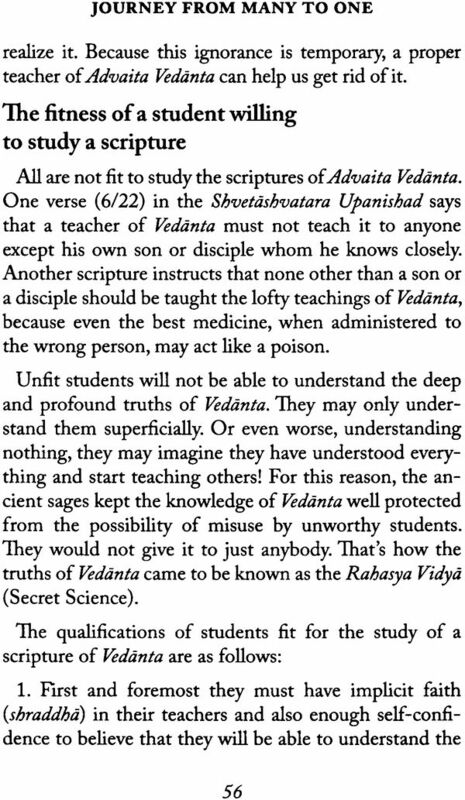 Why don't you write an easily understandable book on Advaita Vedanta? I have written this book in response to their request. 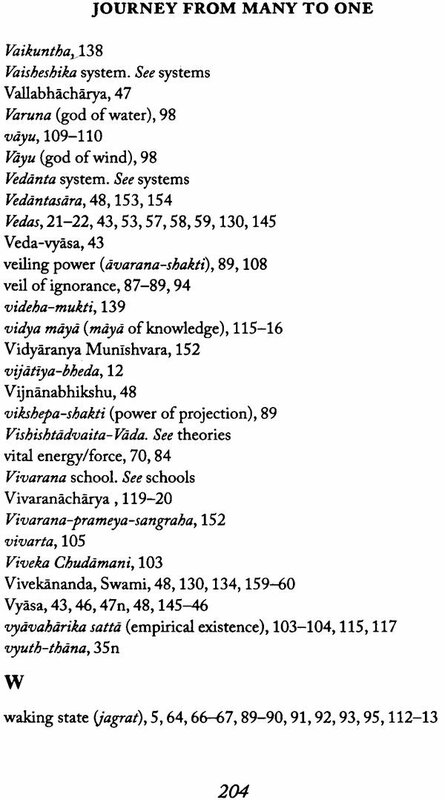 Many of them, who are from a non-Hindu background, find it hard o accept truths validated mainly by Hindu scriptures such as the Vedas. Other, without any particular religious allegiance, cannot accept truth and religious ideas merely on faith. They can only accept what appeals to their sense of reason. This book has been written mainly for such readers. 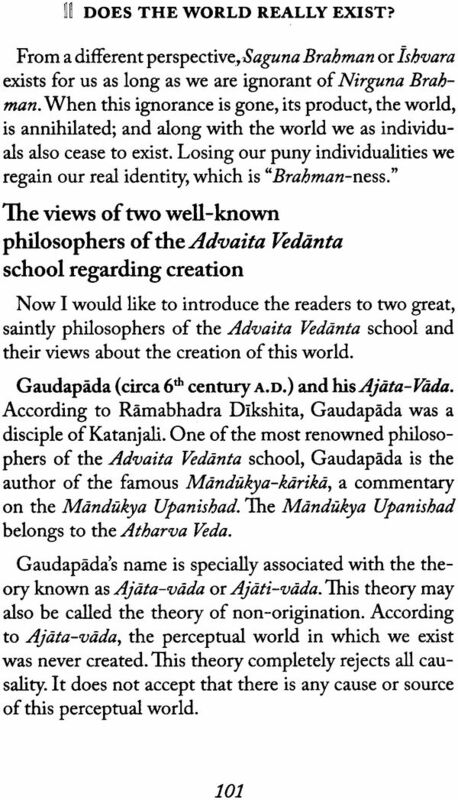 I have tried my best to make the book reader-friendly, using mainly reasoning to present the ideas of Advaita Vedanta. Ai the same time I have taken care not to oversimplification. 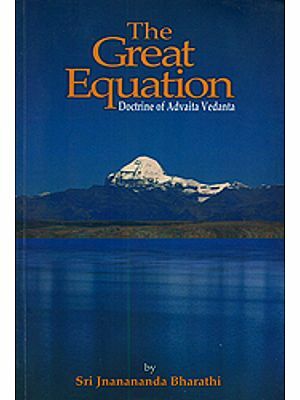 I have made sure that the readers will not be deprived of the opportunity of becoming acquainted with all the vital aspects of Advaita Vedanta. In the Publication of this book the following persons have helped immensely, and I acknowledge their loving assistance with deep gratitude. Allen R. Freedman, Ph. D., for computer typesetting the manuscript. Mira Guerquin for designing and illustrating the cover and drawing the picture of Shankaracharya. Charles Mathias for drawing the pictures of Ramanujacharya and Madhvacharya. Devra Freedman and Stafford Smith for proofreading and editing. I shall feel greatly rewarded if this book proves to be helpful to those for whom it is intended. Once Bernard Mannes Baruch (1870-1965), economic advisor to the US Presidents Woodrow Wilson and Franklin D. Roosevelt, sait, "I'm not smart. I try to observe. Millions saw the apple fall, but Newton was the one to ask why." In other words, most people are only think deeply or ask probing questions. But there are a few people who do. Newton was one of them. His questioning led to the discovery of what we know today as the laws of gravitation. It is this inquiring mind of Newton that made him a scientist. Had he belonged to ancient times he would be called a philosopher. Unlike most other people, philosophers don't take things for granted. Their inquiring minds use the words-why, how, who, which when and where-as indispensable tools to drill through the outer layer of observed fact and arrive at the deeper truth or truth hidden underneath. It is natural for the human mind to try to arrive at one general truth from many particular truths. For example, we see that animals and human beings die, fish die, birds dei, plants die, insects die, and so on. These are so many particular truths. From these many particular truths we can arrive at this one general truth: all living beings die. This one general truth expresses all those particular truths. 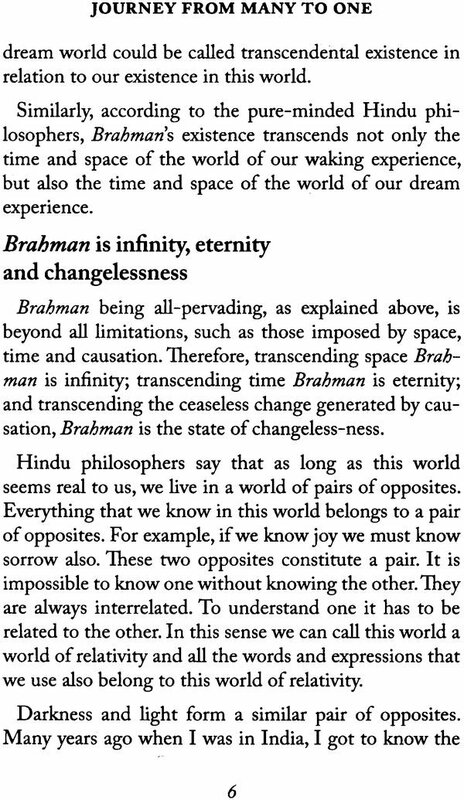 In ancient time some Hindu philosophers in India wanted to arrive at a one general truth from many particular truths. For example, we see that animals and human beings die, fish die, birds die, plants die, insects die, and o on. These are so many particular truths. From these many particular truth we can arrive at this one general truth: all living beings die. This one general truth expresses all those particular truths. In ancient times some Hindu philosophers in India wanted to arrive at a single truth that could explain this manifold creation. A very small number of those thinkers were somehow able to transform their minds into what we may somehow able to transform their minds into what we may call extraordinary or "pure" minds. With such minds they were able to know that one truth that explained everything else. 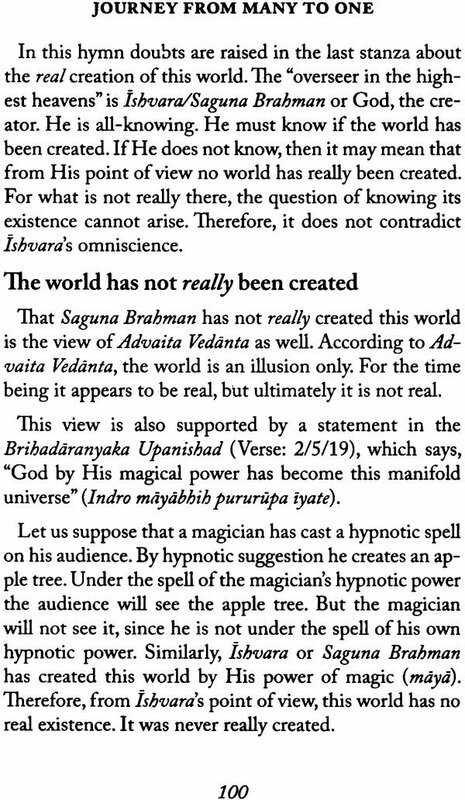 They called that truth Brahman. The average human mind, no matter how intelligent, cannot know Brahman. Only a pure mind can know it in a very special way. The knowledge of this truth is the conclusion or end of all knowledge. Therefore, it is also called Vedanta-the acme or end of all knowledge (Veda = knowledge; anta = end). 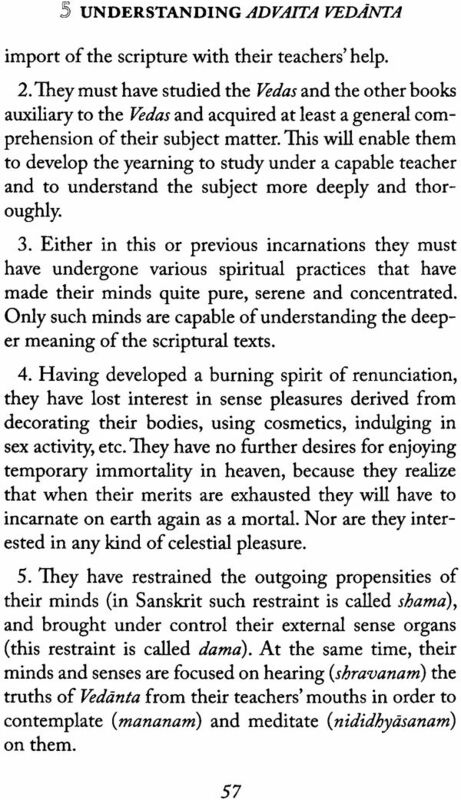 This truth is one, and thus is called in Sanskrit advaita, which literally means "devoid of duality." The Hindu scriptures, such as the Upanishads, refer to it as ekameva-advitiyam (one without a second). There is a school of Hindu philosophy which accepts only this "one and only" truth called Advaita. 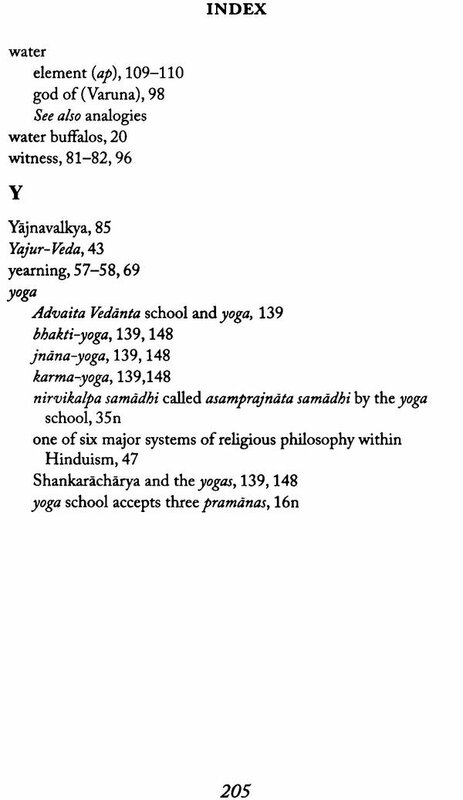 This school of Philosophy is therefore known as the school of Advaita Vedanta. The reader can learn more about this school in chapters 4 and 5. After coming Brahman, those Hindu philosophers realized that search for that one truth, which could explain the diversity in the physical and mental worlds, had ended, and there was nothing else to be known. Modern science also has been trying to find one single truth by which this manifold physical universe can be explained. At one time it explained this physical universe in terms of molecules. But as the search continued, it has tried to explain the physical universe in terms of atoms, then quarks, and last of all, superstring, heterotic superstring, membrane, D-Brane and their vibrations. But science is not yet able to say that its search for that truth has come to an end. SO the search continues.